Reading May Be Challenging, But So Is Saying NO! Yeah, yeah… I’m already in book-deep with all I would like to accomplish with my reading this year, especially if I get distracted by some new fancy and forget to read for a couple months, but I couldn’t help signing up for a couple more reading challenges! Well, one isn’t really a stretch for me. Literary Escapism is hosting the New Author Challenge 2010, and I figured this would be an EASY challenge for me given the majority of my planned reading this year (and it’s pretty much all planned already) is reading ARCs by authors new to the publishing field and therefore new to me. I want this to be an easy challenge, so you can pick to do either 15, 25 or 50 new authors. It all depends on how fast you read and how adventurous you want to be. For me, I’m trying another 50 new authors. If you reach your goal halfway through the year, don’t stop. So, if you’ve seen the ARC-alanche page, which I plan on reading everything on it by the end of this year, then you’ll see that signing up for 50 new authors is an easy thing since there are over 60 titles there 😉 AND I’ve already finished 2 with Erick Setiawan and Lori Handeland, so I’ve only got 48 more to go! During Bloggiesta, while doing the “comment on a new-to-you blog” mini-challenge, I found out there was a Terry Pratchett reading challenge and squirmed with delight… and pain. I wanted to do it so badly! I loved Nation by Pratchett, as well as The Color of Magic mini-series, and wished I could read a few of his books this year. But, ALAS! my reading schedule is so full already, when and how could I slip in more? Then I found out I’d only have to read ONE book for it, and surely I could slip in ONE book, right? Marg at ReadingAdventures is hosting the Terry Pratchett 2010 Reading Challenge. You can either be reading the books for the first time, rereading, or even watching the TV adaptations if you like! As long as everyone has fun I will be happy! Please also do not feel limited to only reading the Discworld books as any books by Terry Pratchett will count for this challenge. I’m going for the Cashier level, but may end up a little higher, given you can watch the shows, too. I wouldn’t mind watching The Color of Magic once or twice.. or ten times.. more. Tim Curry, Sean Astin, that guy from Braveheart who played Hamish’s dad, and Rincewind.. lol. I have to smile just thinking about Rincewind and Death (who was voiced by Christopher Lee) arguing. Good Omens co-authored with Neil Gaiman – I’m dying to get to this one! Honestly, I’ve felt a bit lazy and guilty for not having a Jane Austen challenge on my list. I failed miserably on last year’s challenge, but I think that was due to poor planning and organization. Hopefully that’ll improve this year, so I’m signing up for another go ’round with Jane. I still have Persuasion to read of her novels, and I have Sanditon, Lady Susan and The Watsons on my to-read list. Plus Pride and Prejudice and Zombies is somewhere on Mt TBR. AND I know I’m gonna read her anyway, so why not do it in a challenge. Haley at the Life (and Lies) of an Inanimate Flying Object (what a name for a blog!) is hosting a Jane Austen Challenge this year. 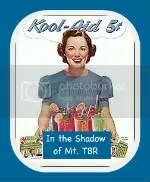 I updated all the links on my I Want More Kool-Aid! page. Apparently, the BookMooch link there took you to a member’s only page, and was therefore sorta broke. I also added my Goodreads profile, so if you want to add me on goodreads, now ya can 😉 And my facebook link is on there, too. I removed the Giveaways page. I’ve really been bad about keeping up with that thing anyway. There was only ONE giveaway listed, and it was for my giveaway of Something Beyond Greatness, which was HOW LONG AGO? And now I’ve got my challenge page updated, including the books I plan to read for each challenge so I can strike them out and link the reviews as I finish them. I’ve retitled the page Reading is Challenging! Yay!! Getting soooo much done! Chips, Dips, Memes and Quips ~ Comenzamos La Bloggiesta! Say hello to my little friend, Pedro! K, got my coffee… ate my sausage, egg and cheese biscuit from Hardee’s and I’m working on my country potatoes (mmm… soo much better than hashrounds! ), and I’m saving the cinamon raisin biscuit for later. My rat terrier, Missy, is full and happy after her Monster Biscuit (ham, cheese, egg, cheese, sausage, cheese, bacon and did I mention cheese? on a biscuit – It’s her new favorite from her FAVORITE restaurant), but would you believe that, after all that, she’s still bumming potatoes? LOL.. Hardee’s is her one vice… that and cat turds fresh from the litter pan. My snow boots are kicked off, I’m feeling warm and relaxed, and I’m reading to get down with PEDRO! Baila conmigo, buddy! I need to update my widgets! Some of them contain info from last summer, some from last year, in general. I need to bring them up-to-speed. 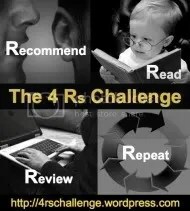 I’m evaluating whether or not to begin a seperate blog for The Welsh Reading Challenge. A few people have joined (to be honest, more than I had expected, even), and there’s a wealth of titles and resources out there that I could tap. The question is, however, how deep do I want to get in the challenge when my main reading focus for 2010 is to clear out all my ARCs by the end of the year. I’m debating whether or not to chuck Viral Video Wednesday. I’ve been lazy with it anyway, and it’s a distraction all week long when I’m really trying to focus on my reading goals. I love it and enjoy it, but maybe set it aside at least until next year. I need to update my Challenge page, my Mt. TBR inventory and ARC-alanche pages, as well as decide what to do with other pages. I need to update my accepting books policy, because I really don’t want to add more books to the pile unless it’s one I’m dying for and can’t live without. That’s about it for now. But I may add more later. I’ll update as I complete things! Visit MawBooks‘ Bloggiesta! Ready, Set… Let’s Fiesta! for other participants, list of mini-challenges and to link your Bloggiesta party! I saw that National Library week is coming up in April, and that led to some questions. How often do you use your public library and how do you use it? Has the coffeehouse/bookstore replaced the library? Did you go to the library as a child? Do you have any particular memories of the library? Do you like sleek, modern, active libraries or the older, darker, quiet, cozy libraries? The trouble I have with borrowing books from the library is that I am horrible at reading them in a timely fashion and I can never decide on one book or two, so I just get all twenty; the result of these failings is that I end up with a lot of fines, my highest fine balance being over a hundred dollars. Instead of borrowing books from the library, I get books from BookMooch and PaperBackSwap, as well as buying them from the thrift stores and an occasional brand-new book from Wal-Mart (I used to be a permanent fixture at Waldenbooks, but Border’s shut our store down… I’m still grieving over that loss). No, my main use of our local library is as a place to take my kids. Our library has family movie events once a month, the last one we went to was “Beverly Hills Chihuahua,” and shows for local artists and musicians. They also have a monthly book sale, though the prices have gone up and up so I’ve gone less and less. Our library also has a nice computer farm that occupy my kids, during which time I sit in a quiet corner away from everyone and read. As we live about seven or so blocks from the library we walk there, which gives us time to enjoy the flowers and the world around us, as well as chat about whatever little thing crosses our minds. A little over six years ago, we lived right behind the library and the kids went everyday, but now we go about once a week, sometimes more, and usually on Saturdays. The library is a large part of our life, both as a source of entertainment as well as a backdrop for memories. A few years ago, our library underwent a major renovation that brought the building into the 21st century. With the installation of a gas fireplace and an open curving staircase with a glass ceiling and window walls, it went from a dreary cement box to one of the most beautiful libraries in our state and winning awards. After the old one retired, the new director has enlarged the DVD, audio book, and music CD inventory a thousand percent, and has returned the library to public.